This school year is well established, in fact, it is half over. How can we make the most of the rest of the school year and give our children the homework help they need? The team here at Bonnie Terry Learning has put together some tips to help. Let’s re-evaluate how things are going in school. For example, is it a good year or a frustrating year? Are your children spending time every night on homework? Is it taking up the whole night? Something to consider when your child is spending a long time on homework every night is the sleep your child is getting. Are your kids getting enough sleep? Sleep has a noticeable impact on learning as well as homework. Studies have shown that there is a direct link between getting enough sleep and higher grades. One researcher found that sixth graders who lost just an hour of sleep performed at a fourth-grade level. Other studies have shown a link between getting enough sleep and higher grades. 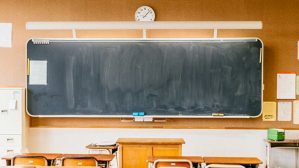 Seattle recently pushed back the start time of school so that kids could get more sleep, beginning with the 2016-2017 school year. They have already seen that the extra time for sleep has had a direct improvement in student’s academic performance. You can read the Seattle study about more sleep and better performance here. So, if you want school time and homework time to be easier for your child, see that they get enough sleep. 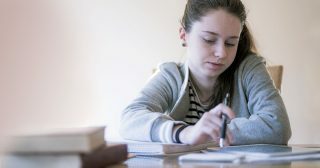 What other steps can parents take to give their child the homework help they need and make the rest of the school year better? How long is it taking them to get their homework done? For each year your child is in school they should have approximately 10 minutes of homework. A 3rd grader should have approximately 30 minutes of homework per day, whereas a 6th grader should have 60 minutes. If homework is taking much longer than this amount of time on a regular basis, try to contact their teacher to let them know and to find out if their teacher realizes this. Are they able to get their homework done accurately? 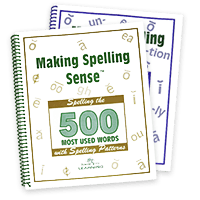 Is your child usually able to get their homework done accurately or do they make a lot of mistakes? 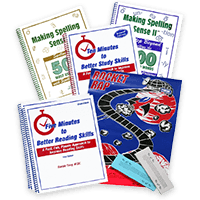 Homework should be review work or work for extra practice on a particular skill for mastery, not new concepts, so your child should have a high accuracy rate. If they are not getting at least 80% of their homework done accurately, they may have missed the concept. You may need to help them out with it or contact their teacher about it. Are they struggling with assignments repeatedly? 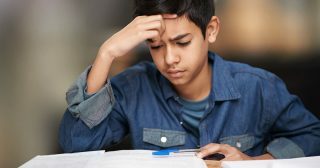 If your kids repeatably struggle with homework, you may want to look into what the underlying root cause of those struggles could be. There is typically a reason for consistent struggling. When you know what is going on and address it, life gets easier. Do they like their teacher or feel negativity towards their teacher? Sometimes there is a conflict with your child’s teacher that may cause an attitude problem towards a particular subject. 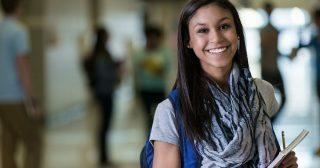 These issues can be addressed by communicating with your child to truly find out what the issue is and even contacting your child’s teacher. Periodically check your child’s homework for quality as well as correctness. There is no need to micro-manage here, but keep tabs on them here and there. If it is beyond the child’s ability or if it is repeatedly too easy, talk to the teacher. Remember, you do not need to wait for parent-teacher conference time, you can call a conference of your own. 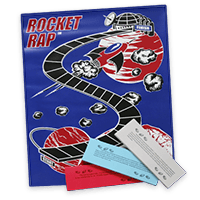 Be sure your child has the resources they need at home to help them plan out their homework and after-school activities. 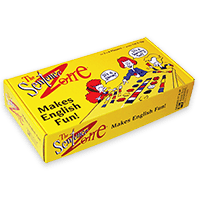 Chunk homework assignments into shorter time frames for greater focus. Set a timer for every 15-20 minutes, where they work hard and focused for that period of time and then have them get up and stretch, do some jumping jacks, or a quick mind-body activity. 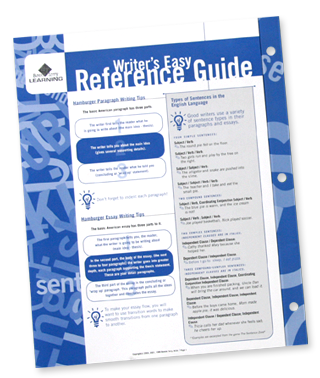 Writer’s Easy Reference Guide – We like to call this guide The Ultimate Cheat Sheet for any writing assignment: paragraph format,essay format, how to do a bibliography, and much more. 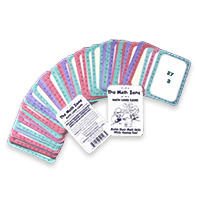 BT Easy Math Guide – This guide is great for any math assignment: addition, subtraction, multiplication, division, fractions, decimals, percents, word problem strategies, and more. 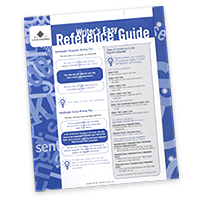 A concise 12-page reference tool that provides as much, if not more information that is available in most reference books. 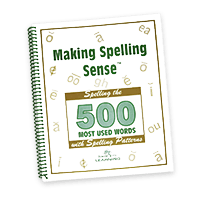 How to Write a Bibliography with examples, and much, much more! 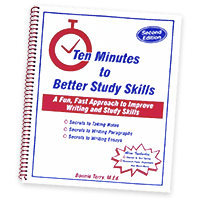 Ten Minutes to Better Writing and Study Skills is for students from elementary school through college. 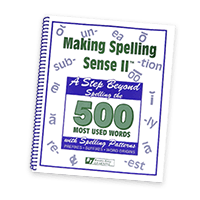 While it has resources for every student, it is especially helpful for middle and high school students, as the complexity and levels of assignments increase. 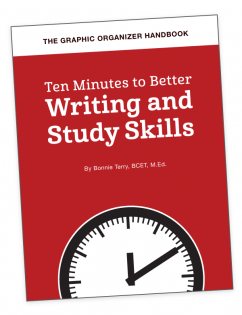 If you are looking to improve your planning, study, writing, or test-taking skills, this book is for you. Bonnie Terry, M. Ed., BCET is internationally recognized as America’s Leading Learning Specialist. 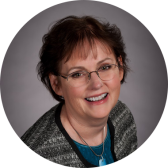 She is an award winning author and learning disability specialist and board certified educational therapist. 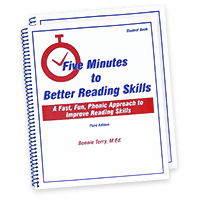 Bonnie is the best-selling author of: Family Strategies for ADHD Kids, School Strategies for ADHD Kids, Five Minutes to Better Reading Skills, Ten Minutes to Better Writing and Study Skills, and The Sentence Zone Game.